Leisure travel shouldn't be like coughing up a hairball (stressful and messy). It should be fun, easy, and simply meowtastic. But, because of our busy lives, we often leave trip planning to the last minute and end up frantically searching for points of interest, only to find that we chose the wrong ones. Then after the trip, we struggle to remember our reactions and favorite experiences. TravelCat solves these travel headaches and gives you something to really purr about! 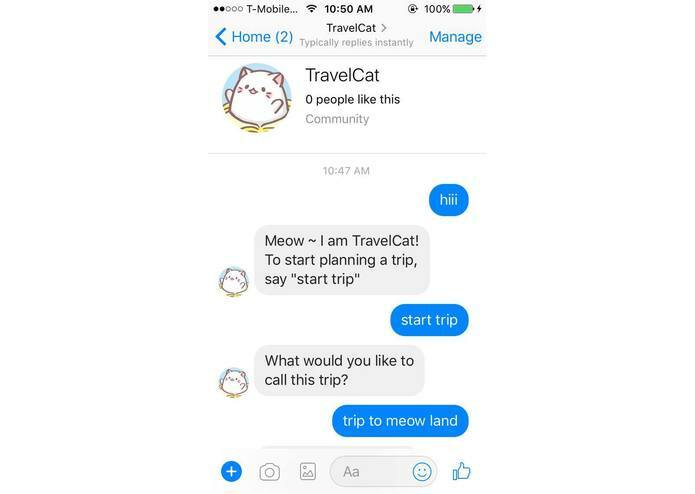 With TravelCat, the kittenest travel companion bot, easily get trip inspiration, plan your itinerary, and quickly record your experiences with just a few words. After the trip, read your automatically generated travel journal and remember the great times you had! 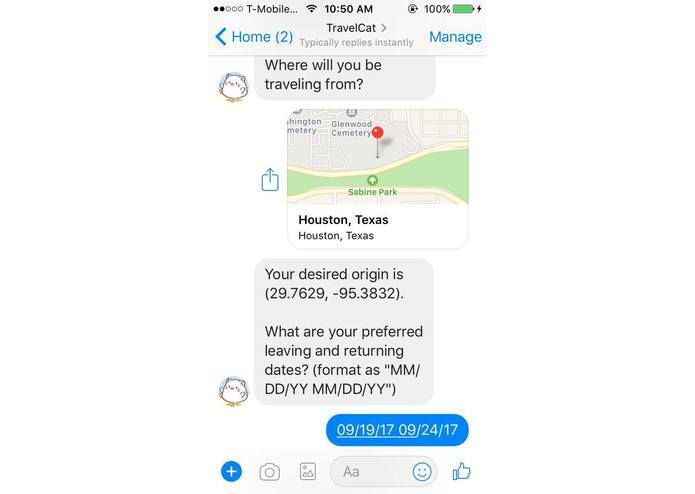 TravelCat is a Facebook Messenger Bot that interacts with you to find flights between specified locations, peruse destination points of interest within a user-determined radius, create an itinerary, and fill out a travel journal on the go. 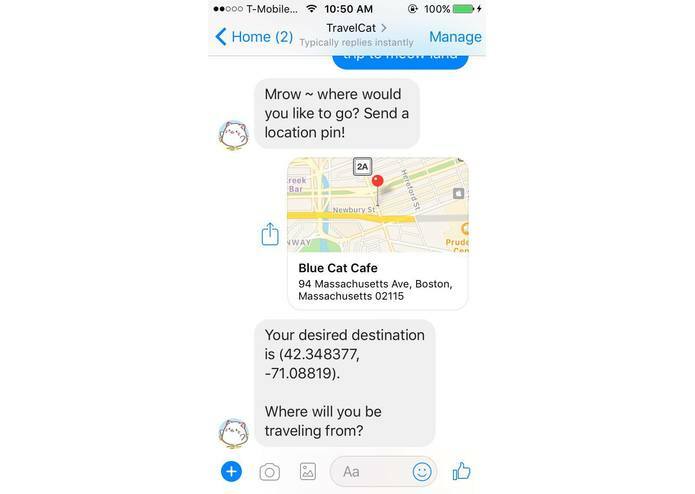 Though there may be various travel companion apps out there, Messenger Bots have been called the "apps of the future" so there's even more reason to start a chat with TravelCat. 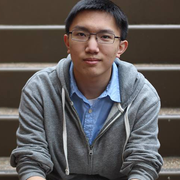 TravelCat is built on the Facebook Messenger platform using Python and Flask. We dynamically pull flight and points of interest data from the Amadeus "Flight Low-Fare Search" and "YapQ Geosearch" APIs. Cats can be somewhat nocturnal, and let's be honest, so are we. So come morning, it was hard not to curl up in a corner and get a quick cat nap. The ability for users to input their trip dates and start and end locations to view and schedule points of interest recommendations has got us purring. We're excited to see where TravelCat goes next! We'd love to enable users to upload travel pictures and videos to TravelCat. We also want to add capabilities to automatically create a trip summary video with the user's pics, videos, and reflections. 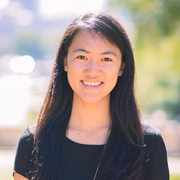 Then, users should be able to share their TravelCat trip summary with their fellow felines. Ultimately, there is an opportunity for TravelCat to conversationally help you purchase flights, book hotels, secure rental cars, and much more through partnerships with airlines, car rental and travel agencies, and hotels. Worked on the backend, mostly with integrating the Facebook bot with the Amadeus API. 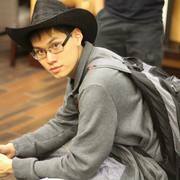 Also wrote bot state machines dealing with adding points of interest to your trip.